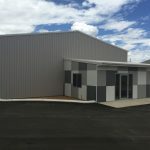 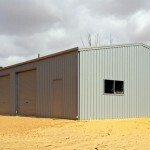 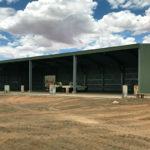 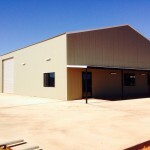 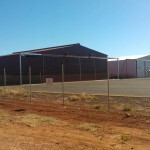 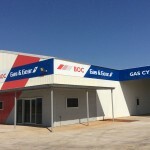 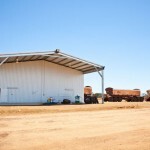 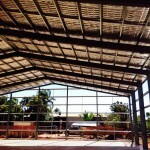 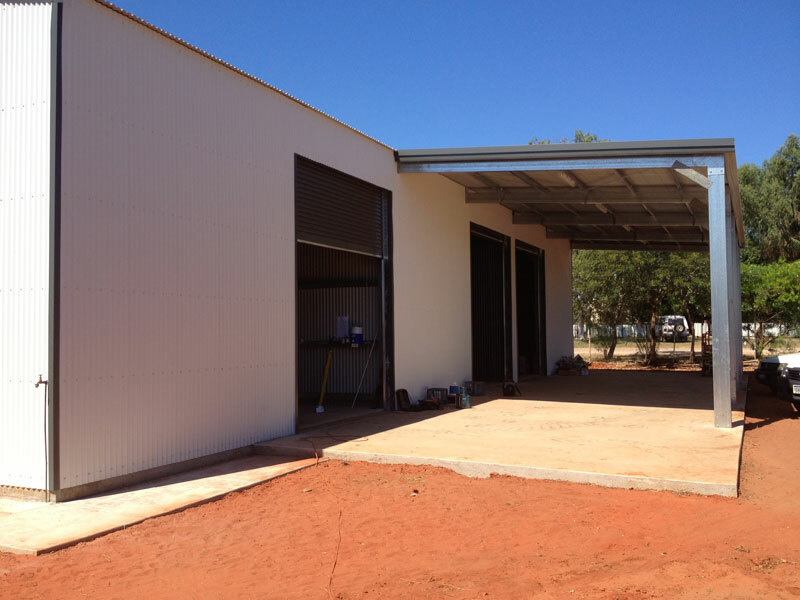 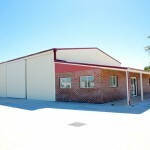 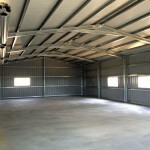 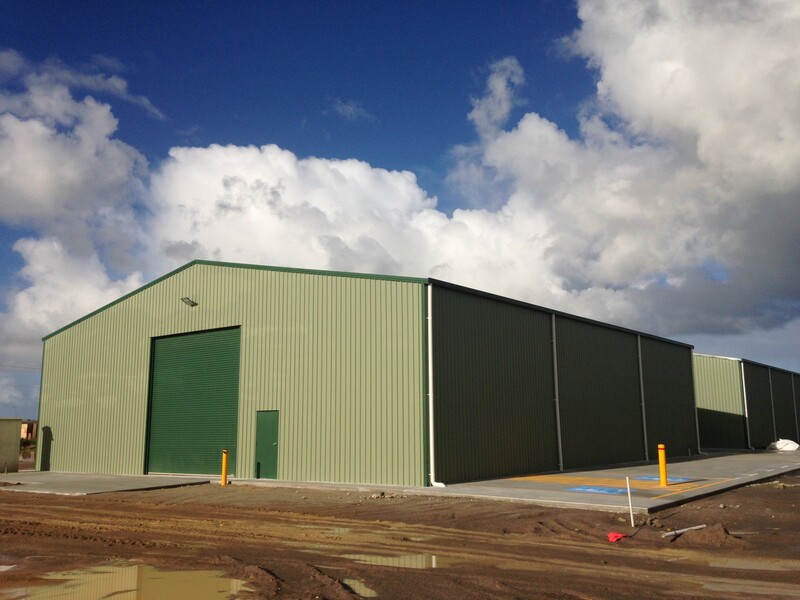 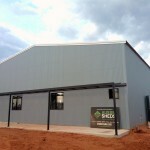 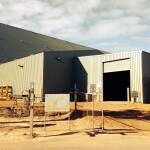 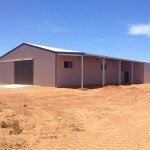 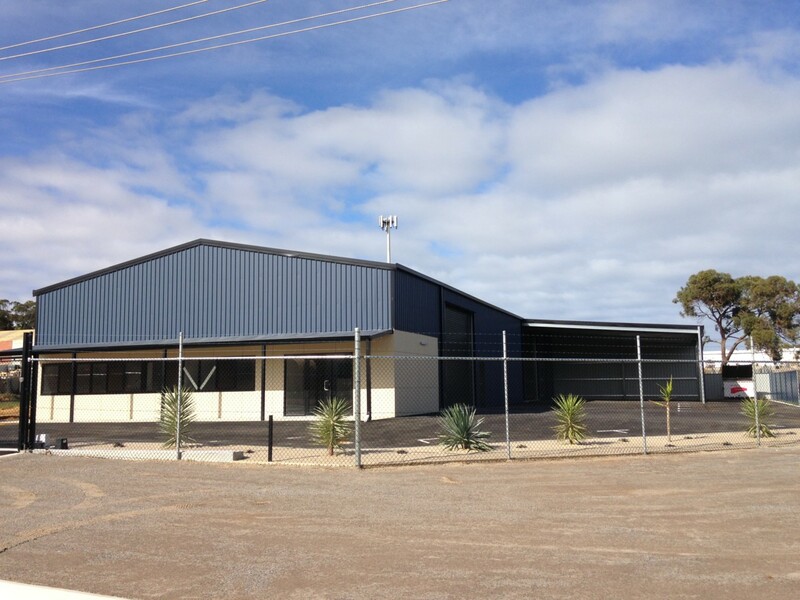 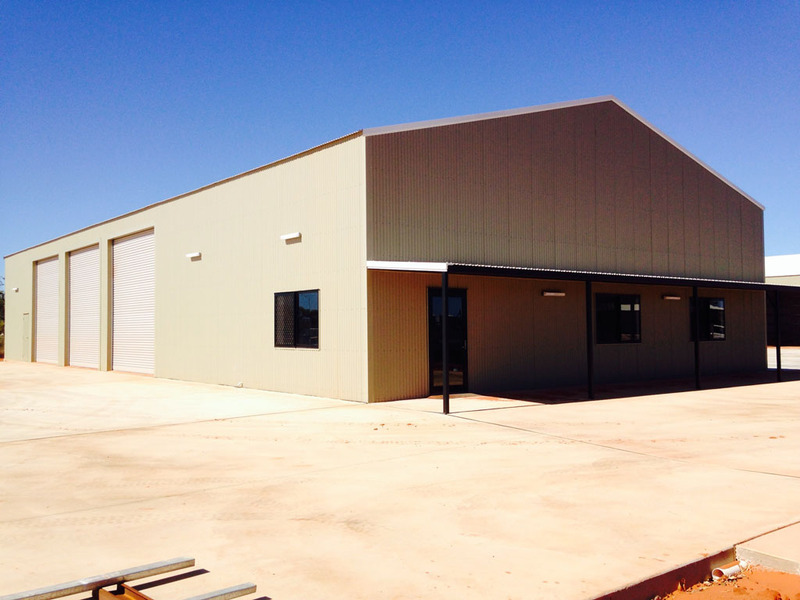 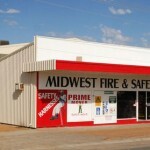 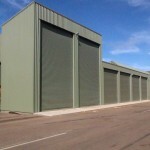 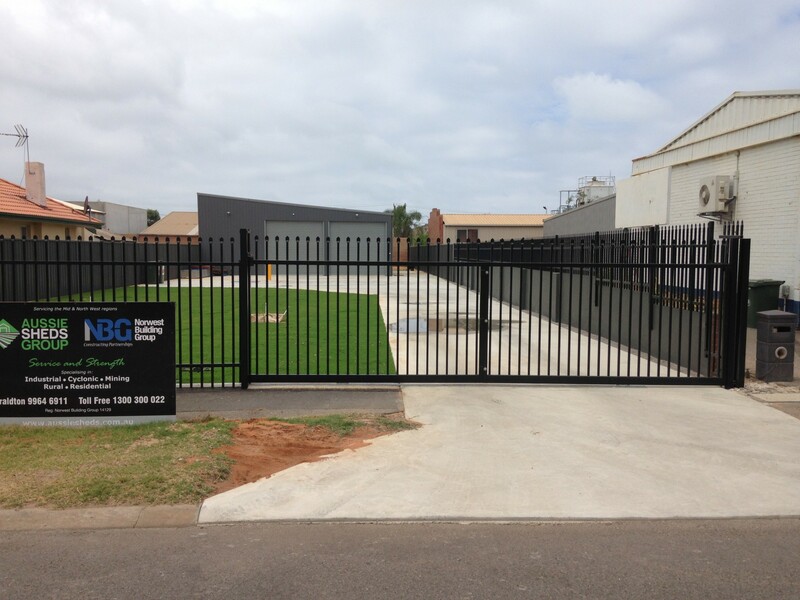 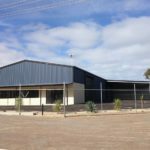 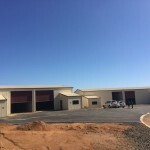 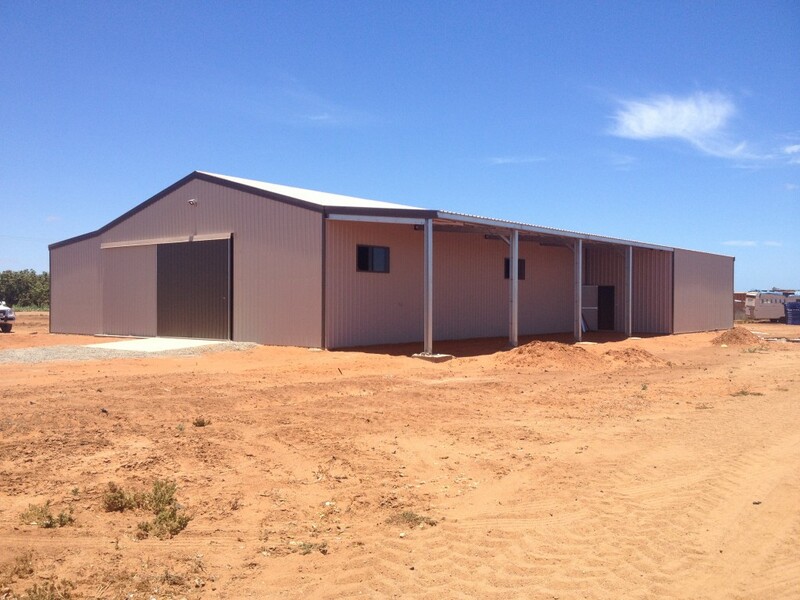 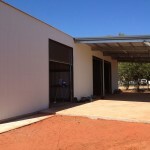 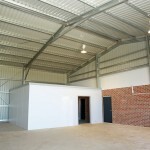 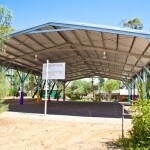 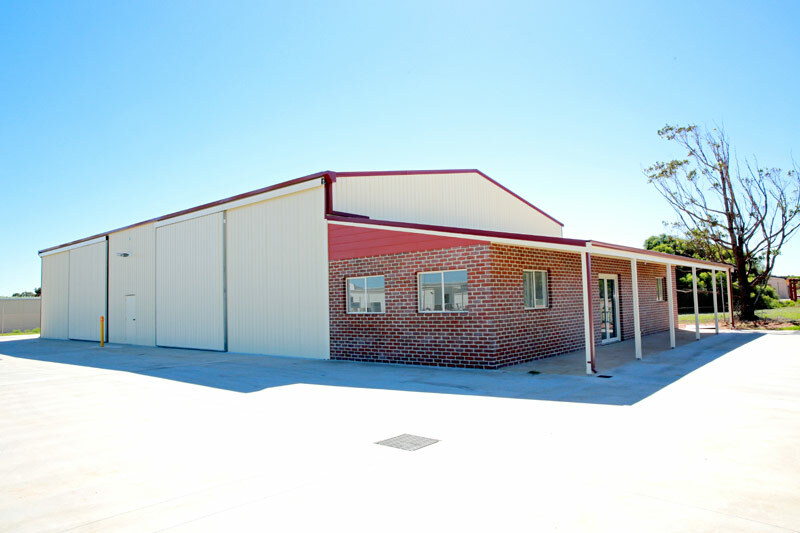 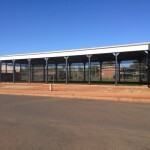 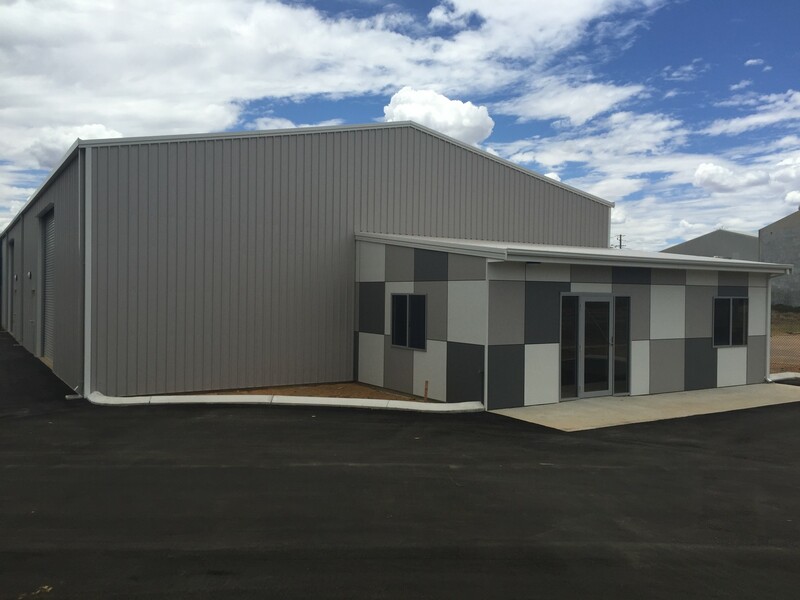 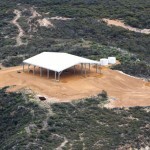 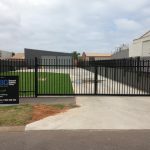 Aussie Sheds can custom design an economical large steel building to suit your needs. 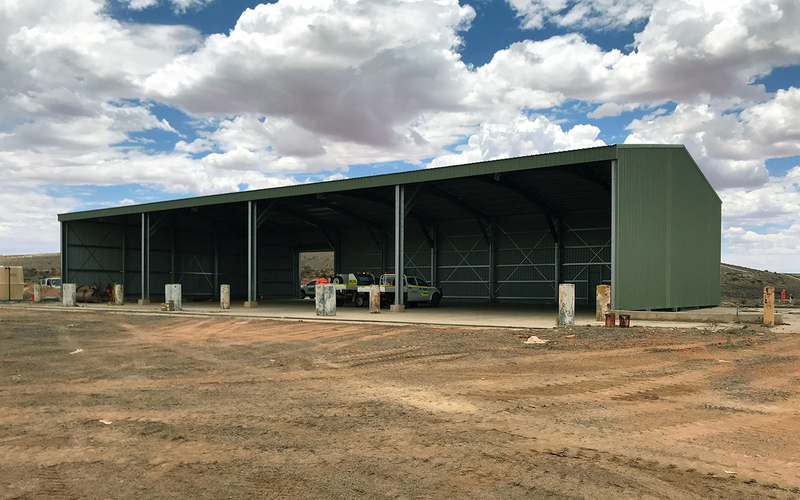 With clear spans up to 35 metres and standard wall heights to 7 metres, our industrial sheds provide ample room for most small to medium applications. 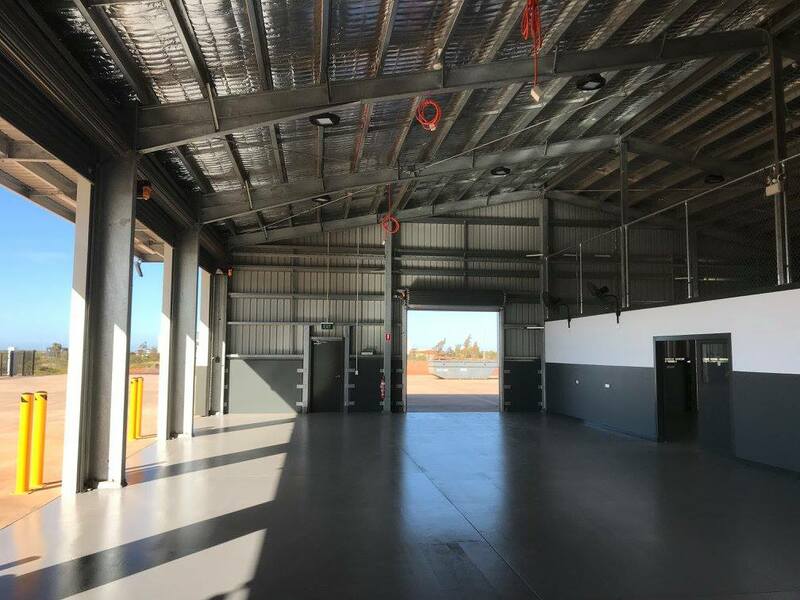 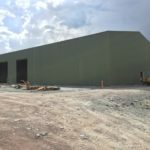 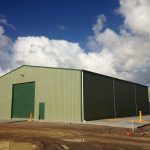 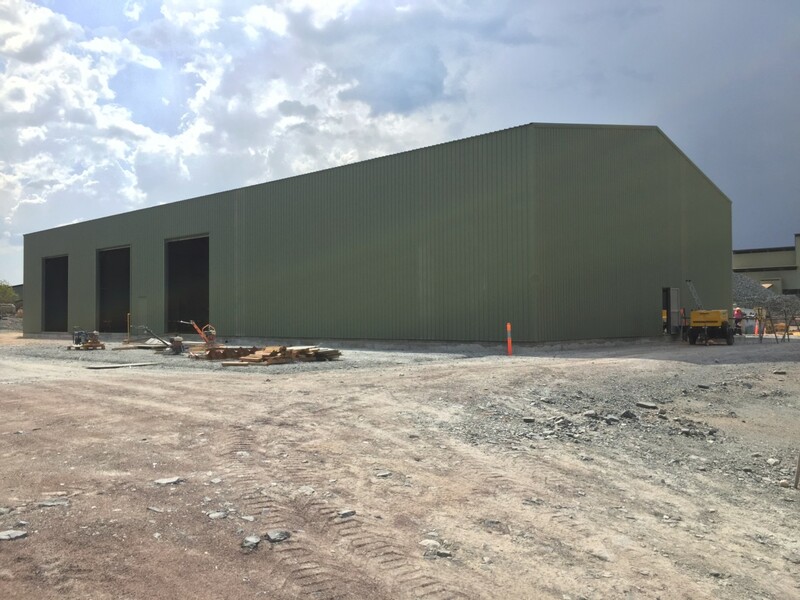 We can also build and engineer larger structural steel sheds to specifications including C Section and I-Beam sheds with ZAM or Z450 anti-corrosion coated purlins and COLORBOND® Ultra steel cladding for severe coastal, high humidity and industrial environments. 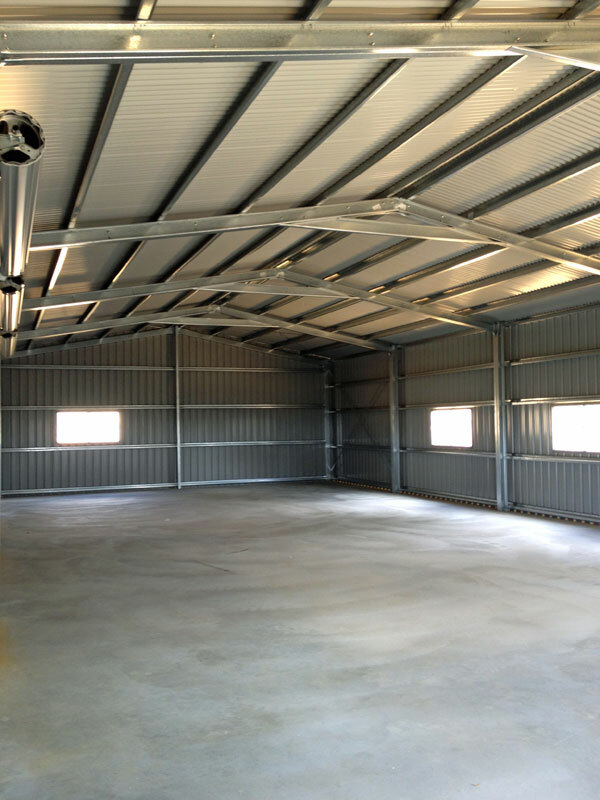 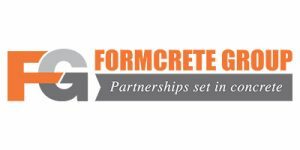 If you’re looking to build, extend or upgrade a workshop, factory, storage shed, warehouse, remote shelter or other wide span shed talk to us. 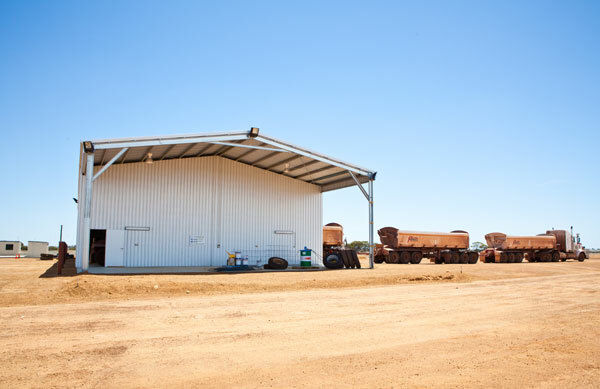 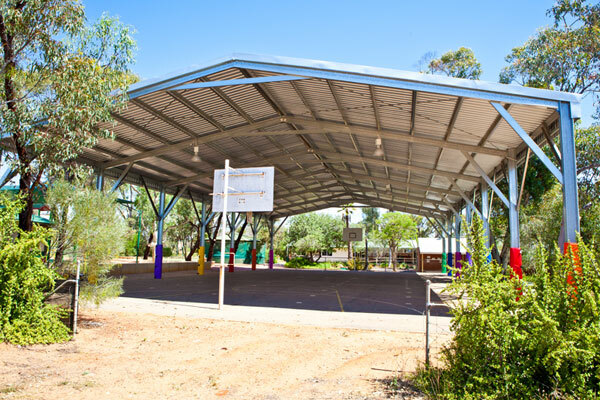 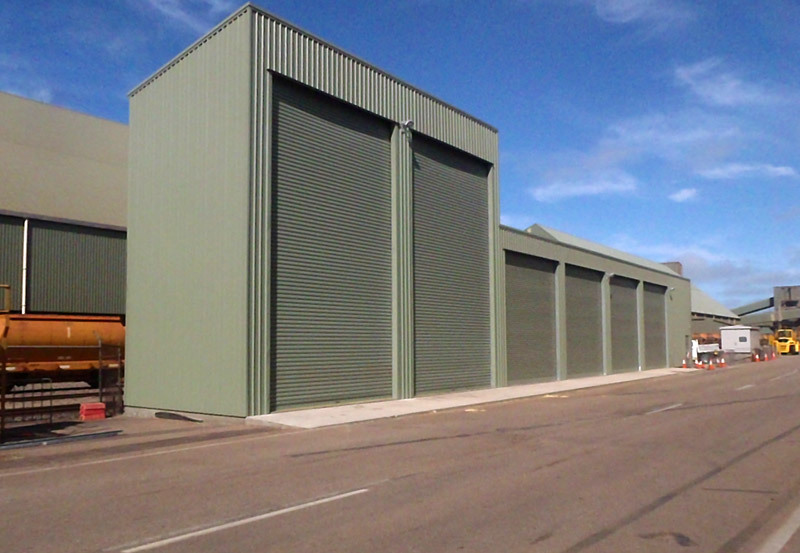 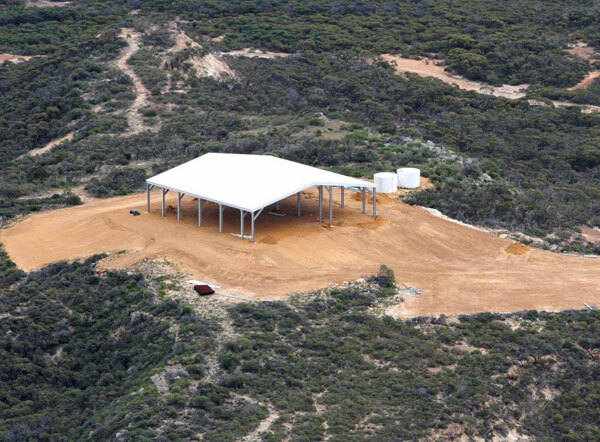 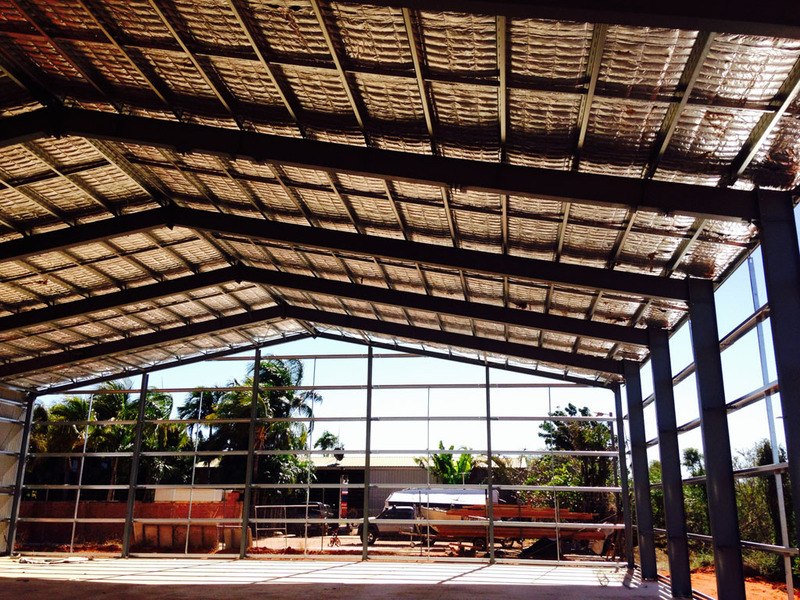 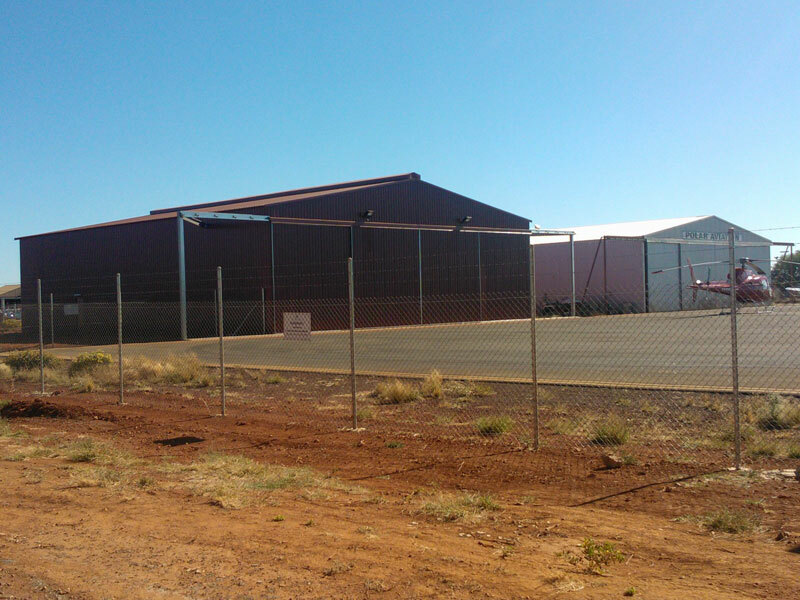 From industrial estates to remote outback locations or the CBD, we’re’ experts in large steel shed installations. 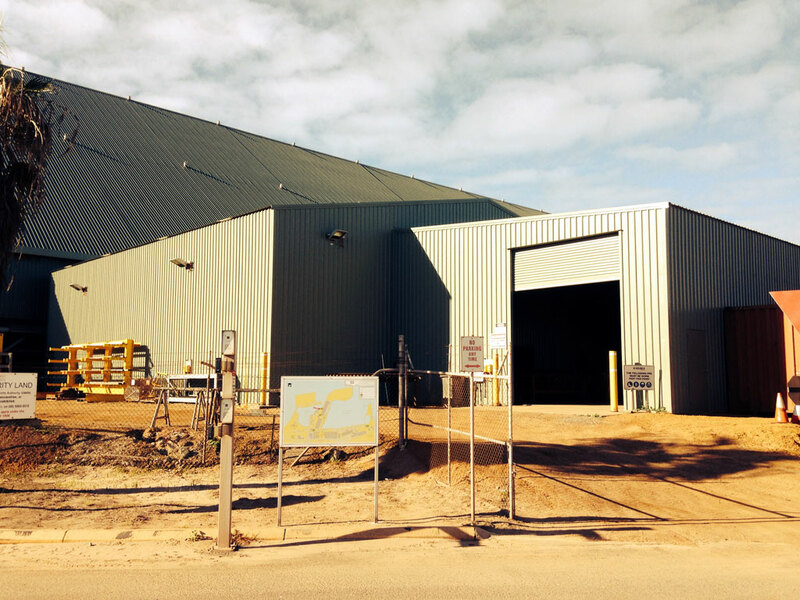 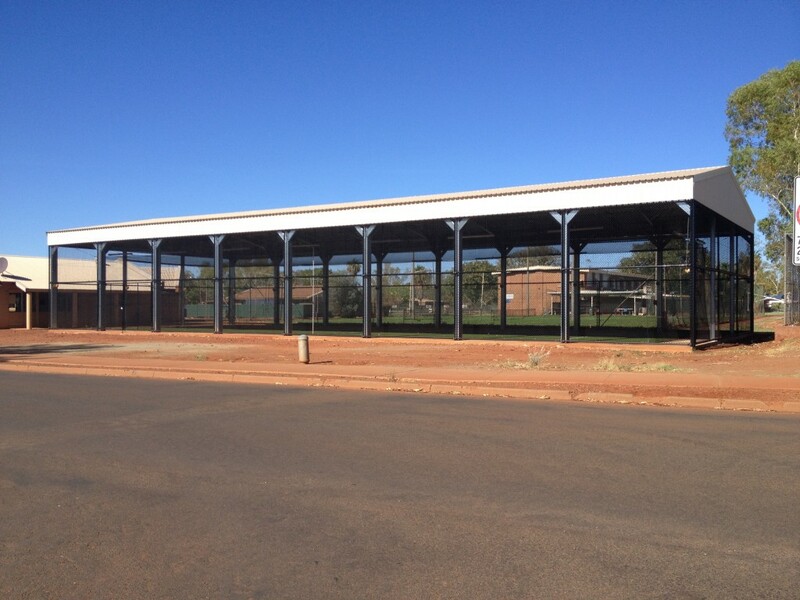 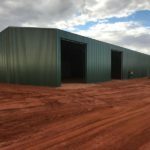 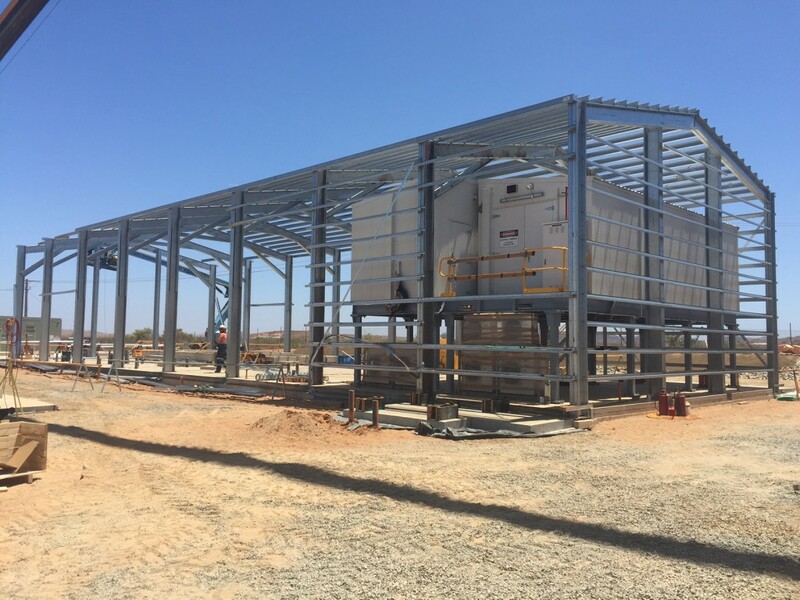 We’ve installed large high clearance steel sheds to mining projects in the Pilbara and Mid West regions of WA. 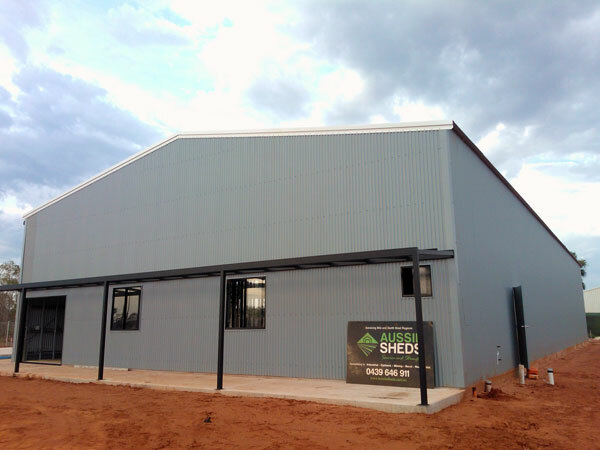 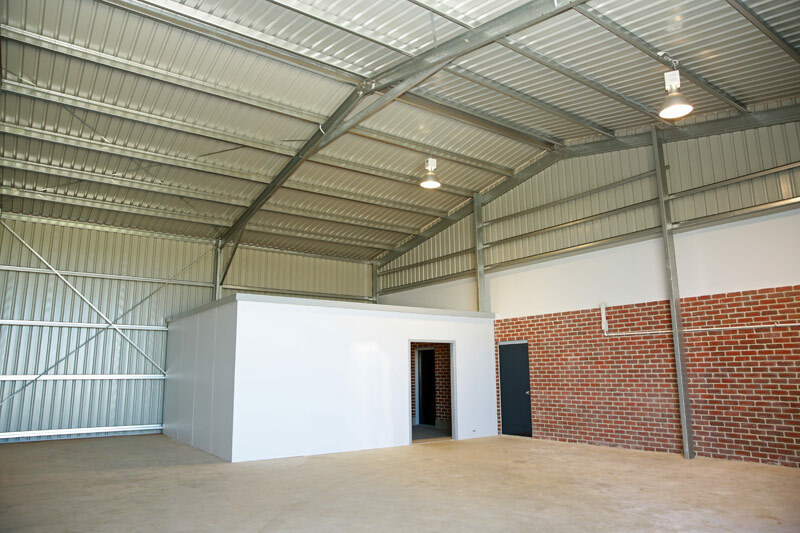 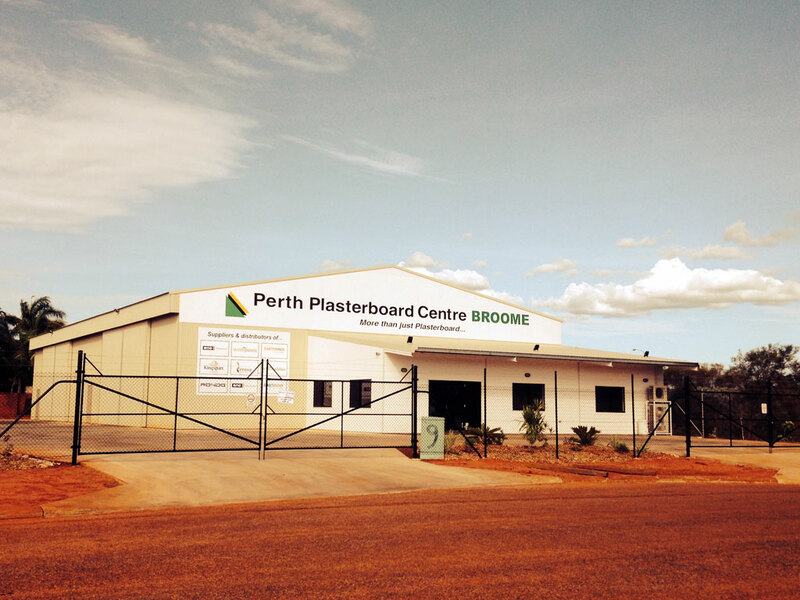 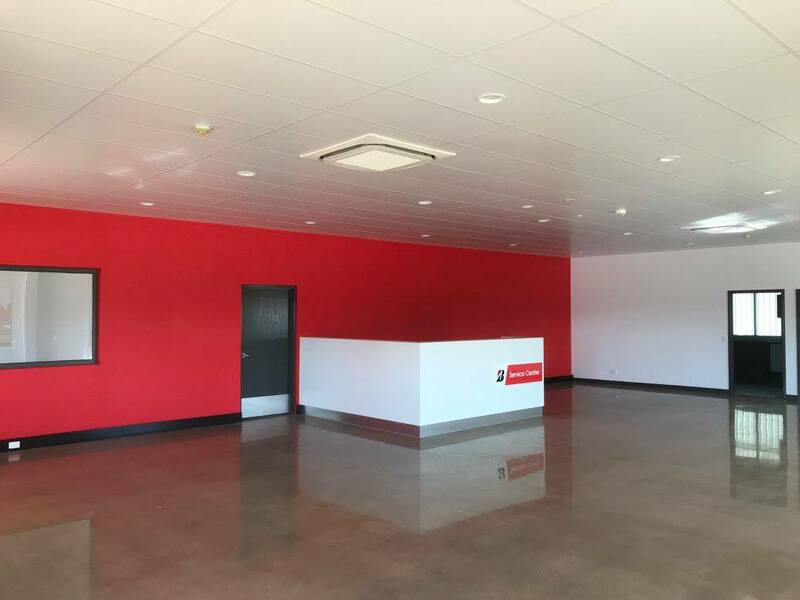 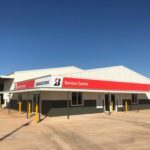 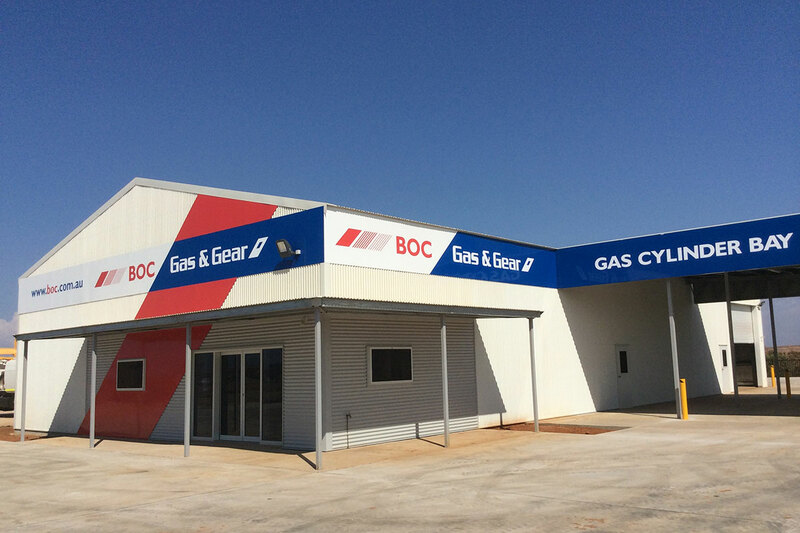 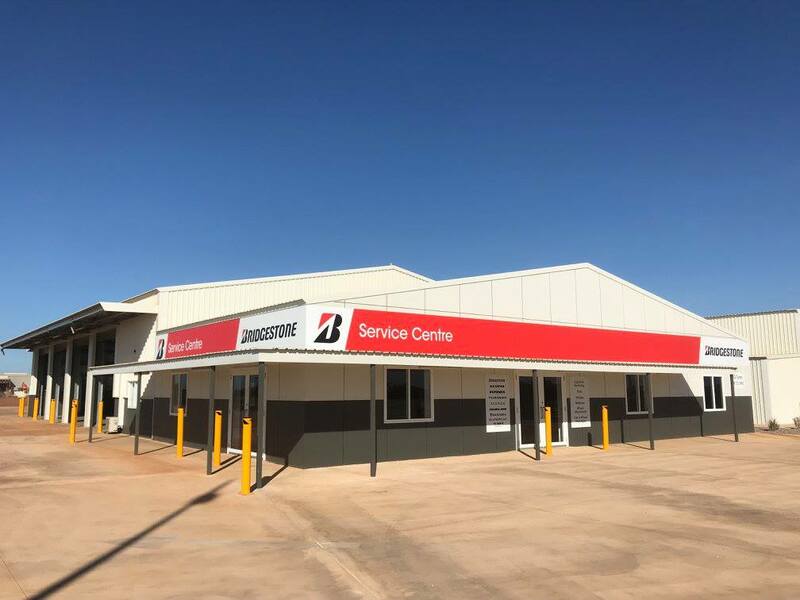 We can help you renovate or build your commercial trade shed including factory, workshop or storage sheds complete with a shopfront, office or reception area. 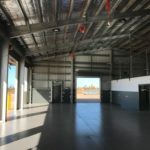 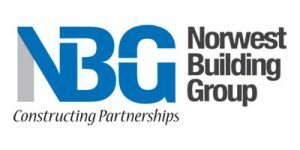 We’re experienced in dealing with Government procurement processes and will ensure you get all the required paperwork to meet your decision making and audit needs. 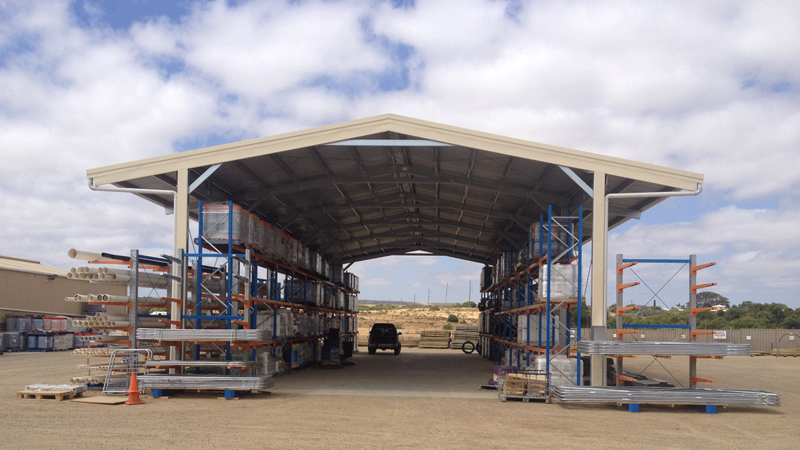 Call us on 1300 300 022 or get a quote online for your industrial shed today. 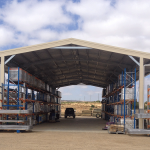 Our sheds are fully engineered up to cyclonic standards with site-specific designs. 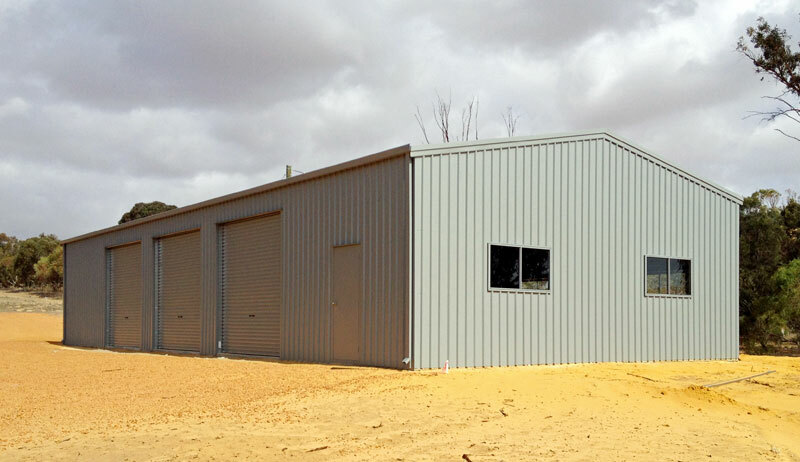 Our shed builder software can generate and quote a custom shed design in seconds. 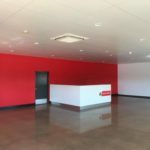 You can easily add and remove features such as a mezzanine, large opening, office or glass sliding doors for your customer reception. 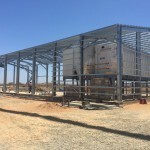 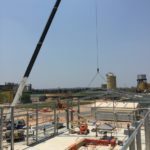 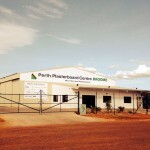 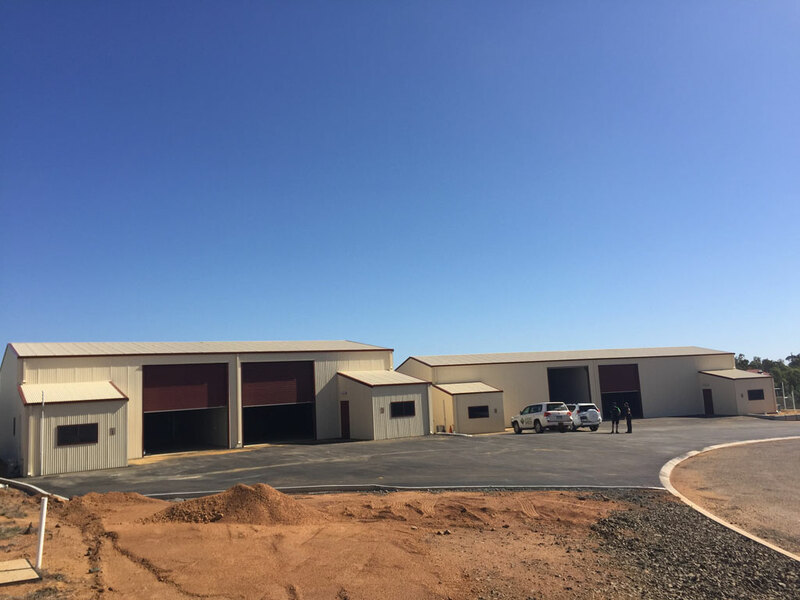 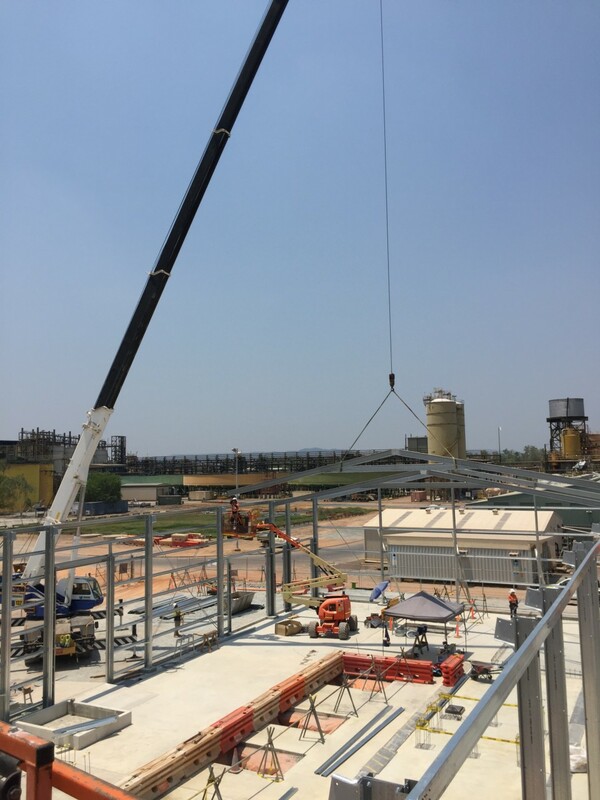 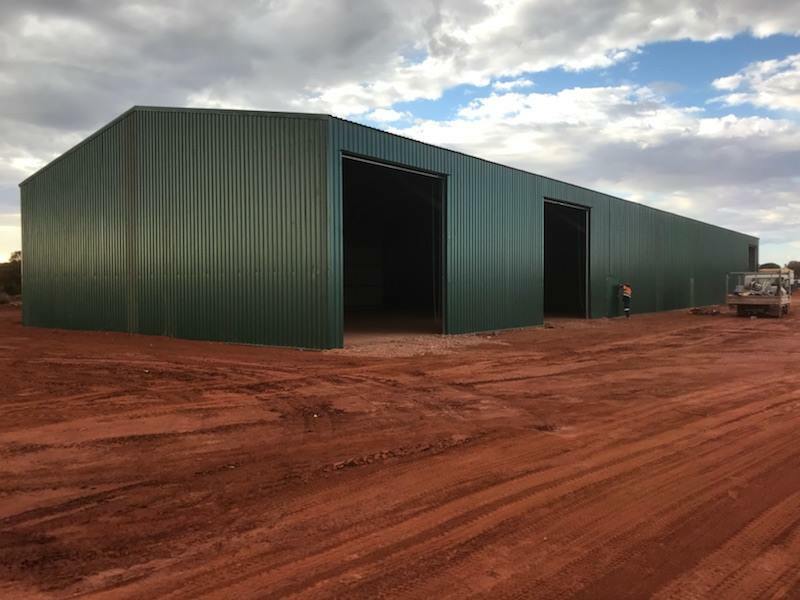 We can also engineer to specification larger I Beam and C-Section steel sheds with anti-corrosive steel coating and COLORBOND® ultra cladding for high corrosion environments. 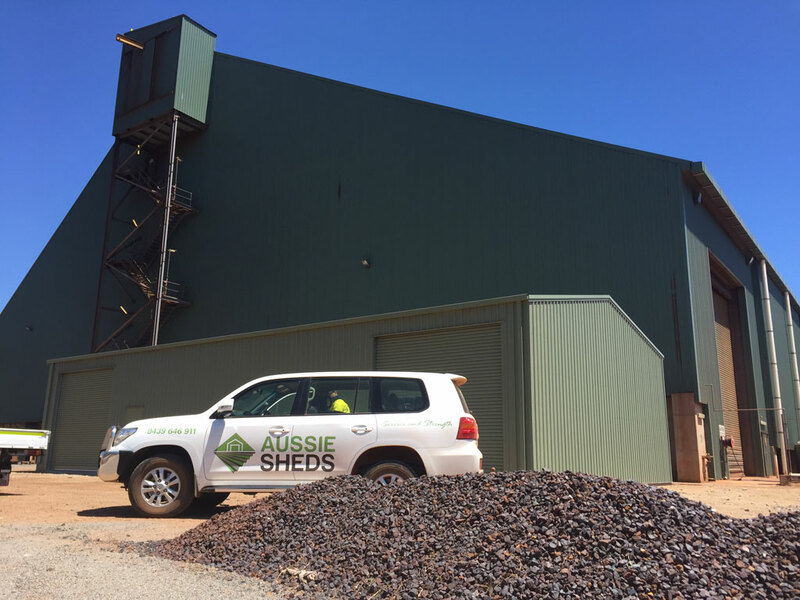 Whether you require a DIY kit or a full build including site works and council approval, Aussie Sheds can provide the right solution for your business. 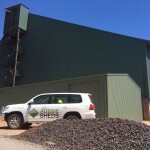 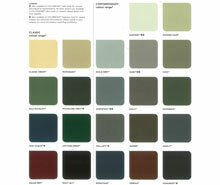 See more reasons why you should choose Aussie Sheds.